Economy – overview: Hungary continues to demonstrate strong economic growth and to work toward accession to the European Union. The private sector accounts for over 80% of GDP. 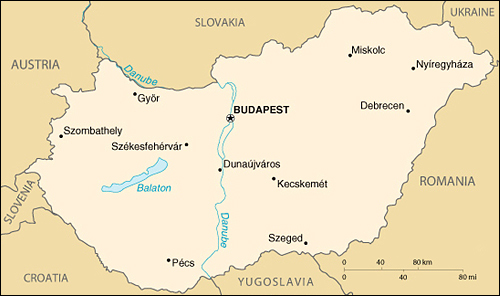 Foreign ownership of and investment in Hungarian firms is widespread, with cumulative foreign direct investment totaling $23 billion by 2000. Hungarian sovereign debt was upgraded in 2000 to the second-highest rating among all the Central European transition economies. Inflation – a top economic concern in 2000 – is still high at almost 10%, pushed upward by higher world oil and gas and domestic food prices. Economic reform measures such as health care reform, tax reform, and local government financing have not yet been addressed by the ORBAN government.